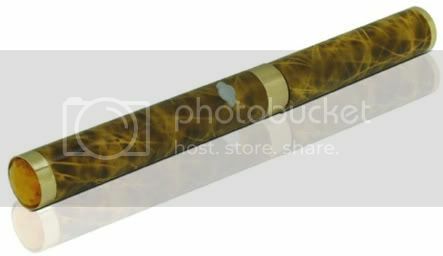 As a penstyle devotee, I have been intrigued by the Boge Leo from when I first heard about it just a few weeks ago. My first impression was that it was a fat batt (what I call these eGO-type thingies) for the 801, although I quickly discovered that the Leo has its own proprietary atomizer (which uses penstyle cartridges). But it still seemed to be in the right ballpark to sustain my interest. Around the same time – and just as he was launching Vapin’ In the Cape – Scott (ctconline) and I struck up an ECF friendship. I learned that he would be carrying the Leo and we’ve been chatting about it. At my request, he sent me one last week to review. Since then, I’ve been putting my Leo through its paces (and it is my Leo: you can’t have it!). I call this a “Meta” review, since I’ve incorporated others’ video reviews (and stole some facts reported by Jackal3). It is “Illustrated” with photos shamelessly ripped from suppliers’ websites or reviewers’ videos. The Leo is 15 mm in diameter (a barely detectable 1 mm more than the eGO) and 153 mm long (much longer than the eGO and just shy of the penstyle’s 155 mm). It is available in black, titanium, wood grain, burgundy red (shown above) or cigar (shown further below). I received the “titanium” color shown at the top of the review (which looks just like the brushed gold of my Elegant). [EDIT: I have learned that some “titanium” Leos have a brushed silver look.] 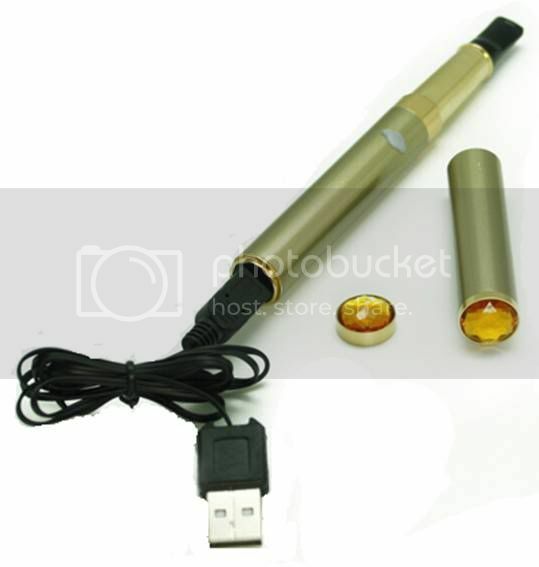 It has a crystal at each end in clear, amber (shown above), or pink (as shown in this photo from the MadVapes website of the separated atomizer, battery, and protection cap). MadVapes is another of an increasing number of Leo suppliers, including BreezEsmokes, LiteCigUSA, Clouds of Vapor and eLiquidPlanet in the US … MistEliquid and Vapourettes in the UK … and EastMall and Boge itself in China. Other than BreezEsmokes ($46), the US price is consistently $50. 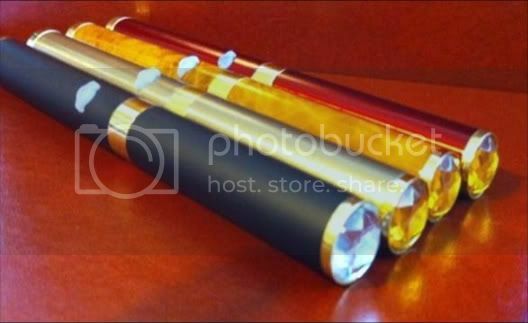 * Not all suppliers have all five colors of the device or all three colors of the crystals. 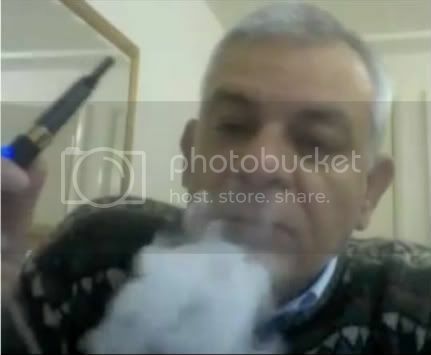 …although you do have to take off the protection cap to vape it. Leo’s battery is 800 mAh (slightly more than the Riva and Elegant, but less than the mega eGO) and ~3.4V (i.e., the same as all the other fat batts). The manual switch button lights when pressed and looks like the one on the Hello 016. It is charged by unscrewing the crystal end-cap and plugging in the rather flimsy looking but functional USB charger. NOTE: This is not one of those fast chargers used by most of the other fat batts … nor does it function as a passthrough, although Jackal3 has just reported that there now is a PT version. The unique atomizer (not compatible with anything else) is even larger than a penstyle atty and is 2.6 ohms: slightly more than the 510’s 2.3 and much less than the 801’s 3.5 ohms. 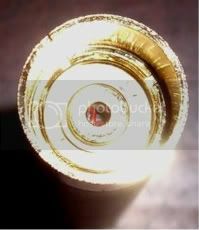 [For a penstyle-type atomizer, it is at least somewhat “LR” (and probably about the same resistance as my beloved EastMall 801).] 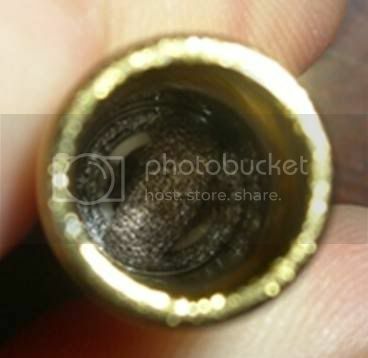 It is shown here next to a 510 atomizer (which obviously has seen some wear and tear). 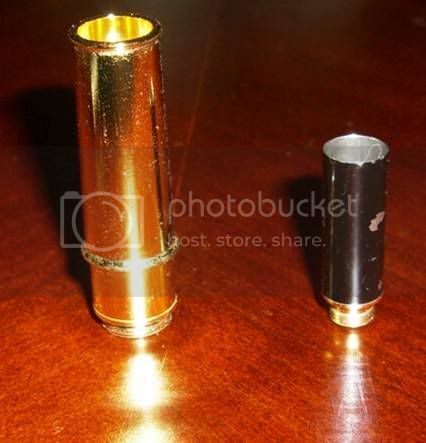 You can see just how big the Leo atty is. BreezEsmokes, LiteCigUSA, and MistEliquid are the only suppliers I know of who also sell Leo batteries: $19, $20 and £11, respectively. First and foremost is the vape: smooth, excellent flavor (hifistud calls it “lush”), thick vapor, and good TH. 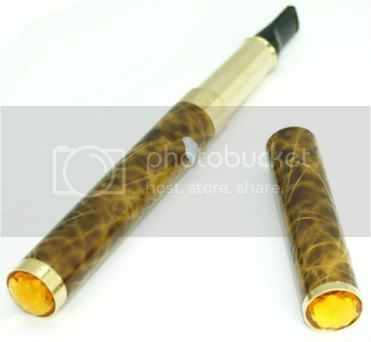 It is more similar to the 801 than to any other atomizer, but it is intangibly different. I think it is the smoothness. I could (and do) vape this thing for hours on end. The draw is slightly stiffer than most penstyles, but enjoyably so. The size, shape, and weight are perfect … for me at least. I like the way it feels in my hand. I’ve always found my eGO-sized Elegant to be a bit stubby; unlike the Leo, the position of its button is not quite right when I’m holding it. The Leo weighs a bit more than the eGO/Elegant and much less than my ProVape-1. Just right for me. The manual switch button is comfortable to press and engages flawlessly each and every time. 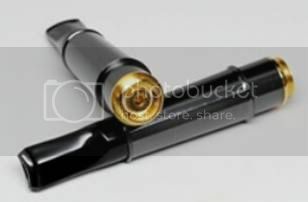 Like all penstyles, the cartridges are large and hold a lot of e-liquid. Frankly I’m not sure how much, but probably similar to the mega eGO carts. Personally I don’t care, since I always drip. And notice the on-the-other-hand to the first “imperfection” noted below. Although I list several here, a few are rather trivial. Pay most attention to the first three. However this may be only a short term problem. 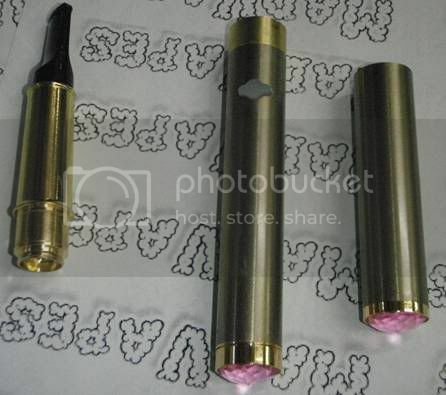 If the Leo takes off and becomes fairly popular, LR and HV versions of the Leo atomizer – and adapters (for using the Leo atty on true 3.7V or HV mods or for other attys to be used on the Leo batt) – may become available. Since the manual switch button engages easily and there is no cover for it, the Leo might very well turn on in a pants pocket or purse. 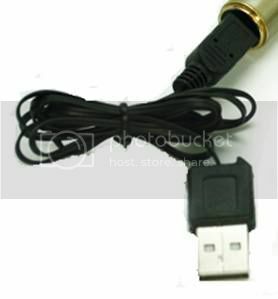 As mentioned, the USB cable is pretty flimsy looking, although I have not yet had any problems. And it’s been charging quickly enough for my needs. Not enabling passthrough functionality was an obvious gaff, considering Leo’s charging set up. 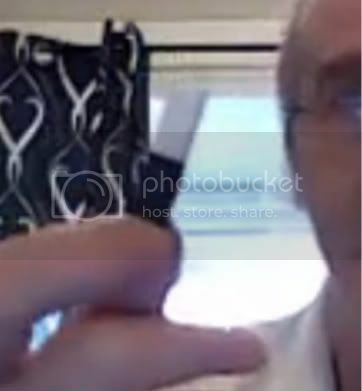 It seems that Boge quickly realized this and is releasing a PT version. 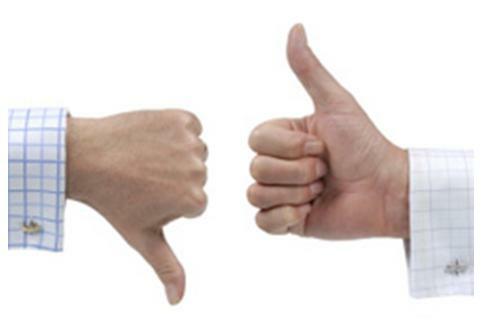 Personally I don’t care; I’ve never liked passthroughs – hate feeling tethered. I’ve gotta be free, I just gotta be free. Daring to try, do it or die, I’ve gotta be me! Continuing that self-assertive theme: To me, that top cap borders on the extraneous. I would have preferred it to be structured so that it didn’t have to be removed to vape, just like the cone on most fat bats. I suppose it does afford protection (of the atty, not the switch), if you carry the Leo in your purse or pocket. I think the crystal endcaps are silly: bling is not my thing. [There is another song I could sing here, you know, but I’ll restrain myself.] I’d rather be able to sit the PV on end on my desk … as I do with my Elegant and ProVape-1. For a counterpoint on those crystal endcaps, notice Cat’s (Petbe) comments in this video review with Dave (Hifistud), during which Dave points out some of the same imperfections noted here. See also Jackal3’s equally glowing written review on ECF. If you find the size and shape appealing (as I do) and have ever enjoyed a penstyle atomizer (or just wanted something different from a 510), you probably will love it also. Thus endeth the sincere, serious review. Around the same time – and just as he was launching Vapin’ In the Cape – Scott and I struck up an ECF friendship. I learned that he would be carrying the Leo and we’ve been chatting about it. At my request, he sent me one last week to review. Since then, I’ve been putting my Leo through its paces (and it is my Leo: you can’t have it!). It is available in black, titanium, wood grain, burgundy red (shown above) or cigar (shown further below). 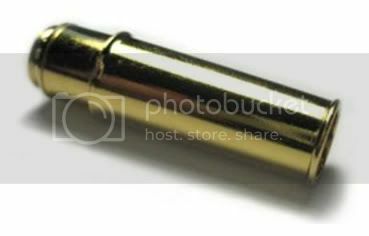 I received the “titanium” color shown at the top of the review (which looks just like the brushed gold of my Elegant). 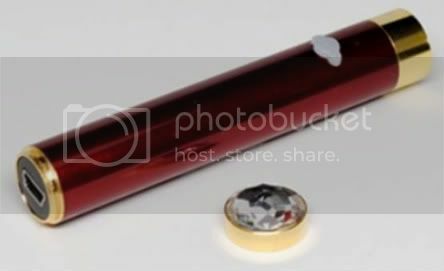 It has a crystal at each end in clear, amber (shown above), or pink (as shown in this photo from the MadVapes website of the separated atomizer, battery, and protection cap). MadVapes is another of an increasing number of Leo suppliers, including LiteCigUSA, Clouds of Vapor and eLiquidPlanet in the US … MistEliquid and Vapourettes in the UK … and EastMall and Boge itself in China. The US price is consistently $50. [Vapin’ In the Cape currently also offers two starter kits for $90.] Not all suppliers have all five colors of the device or all three colors of the crystals. LiteCigUSA and MistEliquid are the only suppliers I know of who also sell Leo batteries: $20 and £11, respectively. See also Jackal3’s equally glowing written review here on ECF. Love that Leo. Solid built unit, smooth big vape. I really love dripping with it. The Leo has Landed at COV! Ego, Riva, Volcano, etc... which one?